Hayter Harrier 48 Autodrive model 474A. This is the all new Hayter Harrier 48, redesigned from the bottom up, new blade, new deck, new gearbox, new wheels, new roller, great cutting ability and great collection from the new blade and grass box. Take a look at what Hayter hope to be the best roller rotary mower on the market. 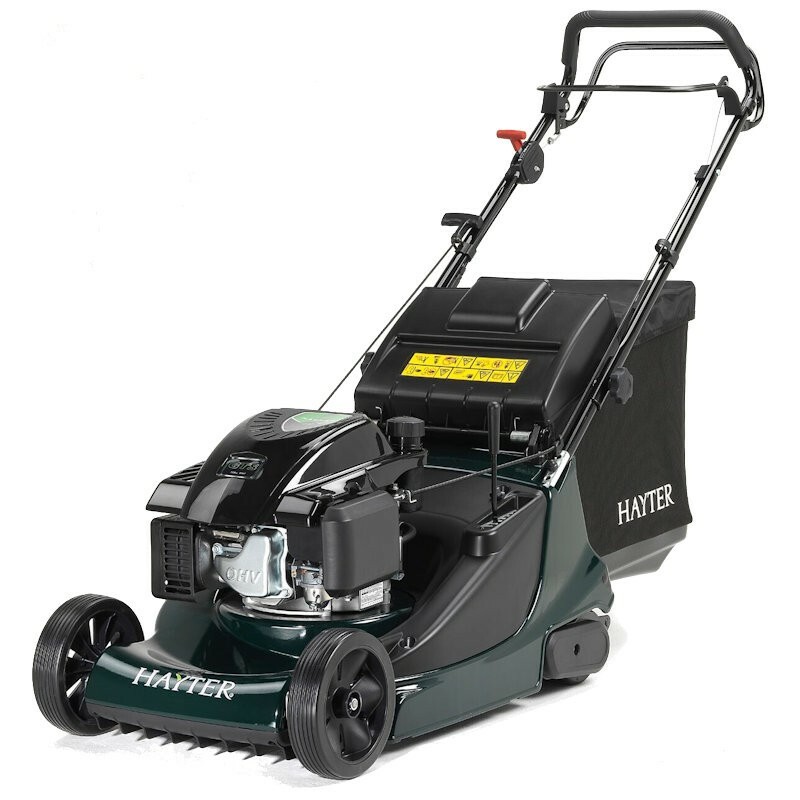 The Hayter Harrier 48 rear roller petrol lawn mower is part of Hayter's recently re-developed Harrier range, which takes pride in being class leaders in quality, performance and fantastic reliability. The 48 is a great machine for tackling medium to large sized lawns, it's great cutting performance and cutter deck which has been slightly raised mean that leaves can easily be removed from the lawn and rough area of growth tackled with relative ease. The High quality two-piece ribbed steel rear roller gives a superb striped finish to the lawn. The single height adjustment leaver on the side of the main body of the mower make changing the cutting height an extremely simple task, and the easy-wash 'washout port' will make keeping the cast aluminium cutter deck clean a simple task, as a hosepipe can be easily attached and detached using a standard hosepipe fitting.